Are you interested in covering us? Here, you'll find resources, like press releases and images. Please contact us if you are interested in reporting about us. You will obtain privileged access to our conference and speakers. We welcome and support German and English stories alike. You are free to use the photos for non-commercial purposes. However, note that these photos are licensed under a Creative Commons Attribution-NonCommercial 3.0 Unported License. Please credit the photographer which you'll find in the caption of each photo on flickr. 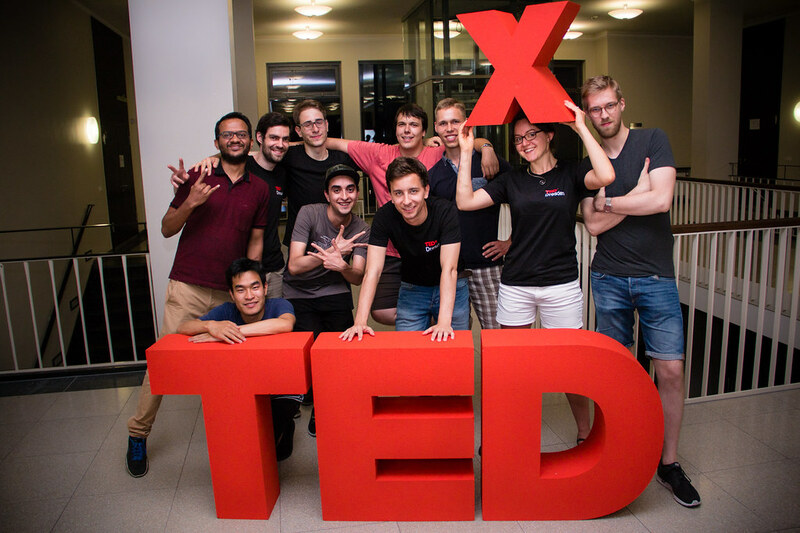 Find out about our conference and TEDxDresden in this thorough summary – Last update: May 2017. Do we rule our future or vice versa? 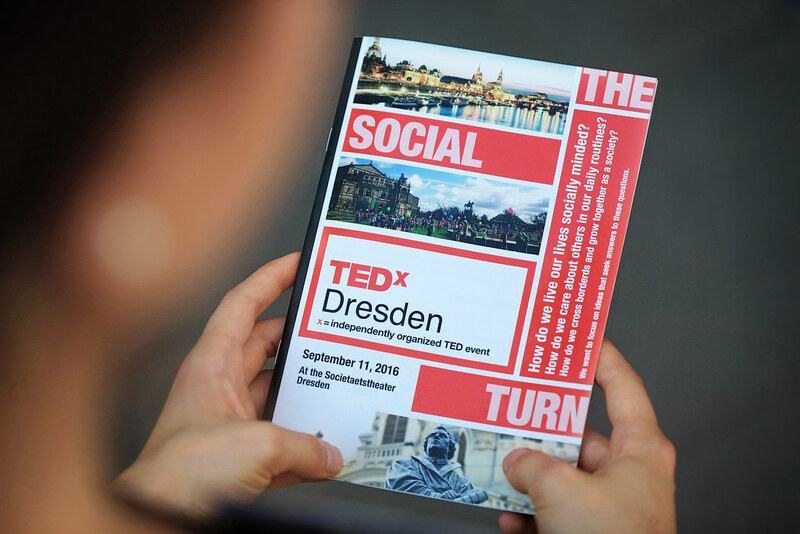 Find out at TEDxDresden 2017 and join us with a reduced ticket! "Holding the Future in Your Arms" - 15 speakers and a robot. - Commentary in the Saxonian newspaper. An overview article from the Saxonian newspaper. Listen to an interview with our chairman Christoph Sträter (07:35 min). Read about our conference last year in the official TU Dresden university newspaper. Download our logo for your publication or news coverage. In 2016, we asked ourselves: How can we live our lives socially minded and grow together as a society? Professors, social workers and forward thinkers from Dresden, Germany and Europe shared their idea. Among them were Prof Catherine Gyldensted (NL) calling for more constructive journalism and Jan Dirk Capelle (DE) who inspired us how to help people more effectively and rationally.